What time of the year is your favourite? Mine has got to be spring! Gorgeous flowers, cute baby animals and dragons hiding in bushes. 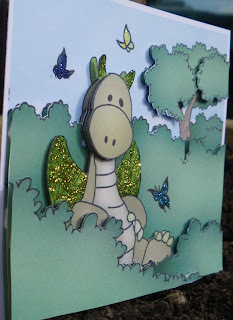 This week over at Stamping With The Dragon we are having a Spring theme. So head on over and check out the gorgeous projects from the Design Team and don't forget to enter your own. 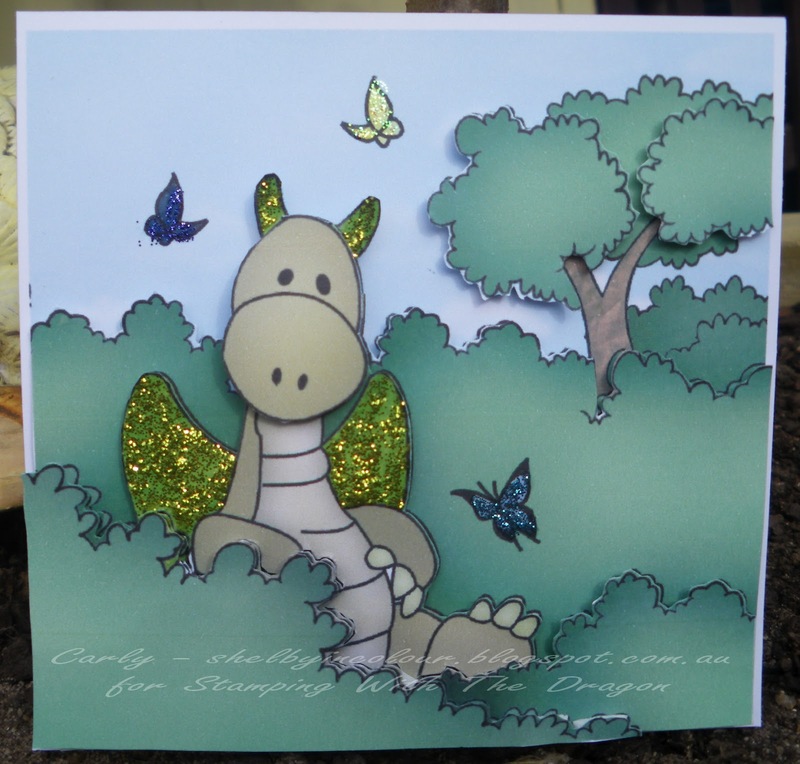 I have used this gorgeous pre-coloured image from the store called Flutterbyes (here). I printed it lots of times and then cut out certain elements again. Then I stuck them down with double sided foam tape and added some glitter. 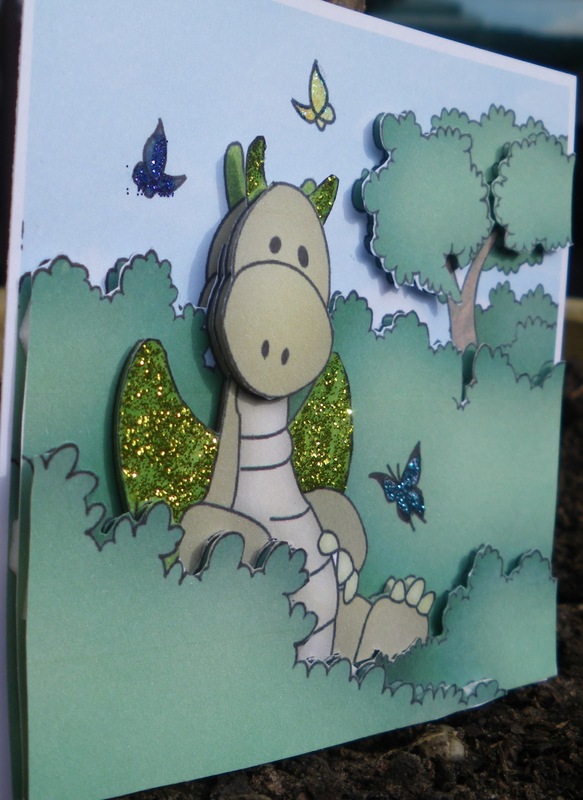 I made it into a cute little gift tag. I hope you are enjoying the weather whatever the season .......and I thankyou for stopping by. Keep your eyes peeled (what a funny saying) when you are out next ... you never know who you might see enjoying the sunshine. WOW! What an awesome scene you created. He is such a cutie. Thanks so much for stopping by my blog! Have a blessed day! Thankyou Shirley! but I didn't colour it! except for the glittery bits. The image comes pre-coloured so all I had to do was print it out! :) Nice and simple.